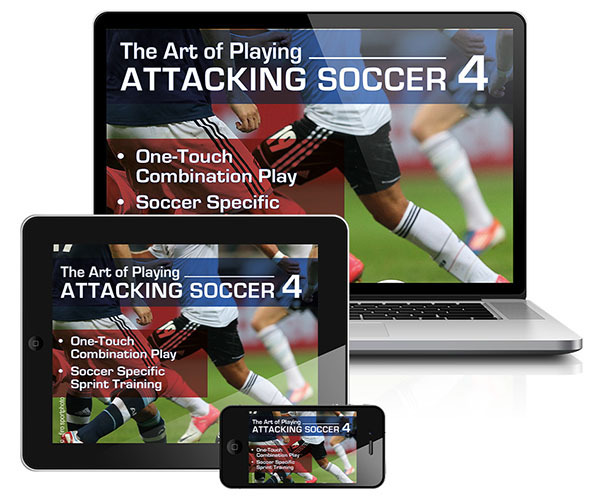 Now Part 4 of our successful series “The Art of Attacking Soccer” is available as eVideo. 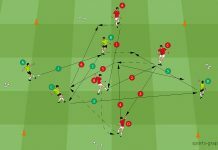 In this excellent video production there is a complete new idea of designing drills: It is the combination of One-Touch, Combination Playand Soccer Specific Sprint Training. 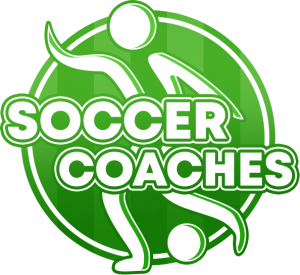 This eVideo „The Art of Attacking Soccer 4“ shows 40 new Drills for Passing and Combination Play (Continuation of the series “The art of attacking soccer 1 and 2”.) 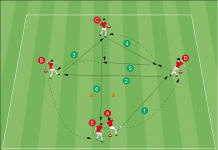 In this new eVideo there is also an effective football-specific sprint training. You will see how to incorporate sprints into a one-touch exercise and how to pass precisely after an explosive sprinting. How can we train the precision of the passing under time pressure? How to get the perfect combination play? 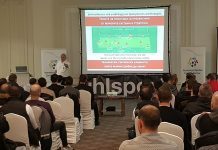 In this excellent video there is a complete new idea of designing drills: It is the combination of One-Touch, Combination Play and Soccer Specific Sprint Training.